Are you ready for some Summer-time fun? The Markets of Sunshine JW Promotion Etsy team is hosting a #TwitterParty for the month of June. Wahoo! Here is how you can win one of these fabulous prizes in our giveaway. Open June 13-30, 2016 to those with a U.S.A. mailing address who are 18 years of age an older. 1. Follow this blog - Scroll to the bottom and you'll find 2 ways to follow us. 4. Click on the product name next to each image and join that newsletter to be entered for a chance to win that prize. We will pick one winner per prize shown on this post. So, enter today for a chance to win one of these fabulous Etsy products. These Etsy shops have graciously donated prizes to this giveaway. We'd love to have you stop by their shop and Favorite it and the prize you see above. We hope you have enjoyed this week's news from Markets of Sunshine. Coming to you live from sunny Florida. We look forward to reading your comments. Don't forget to use the hashtag #MosGiftClub and follow the rules for a chance to win one of our irresistible Etsy products. Awesome!! I sure hope others join in on the fun!! Thank you Joanna! I know lots will enter for a chance to win great Etsy products in our #TwitterParty! Just promoted to my social media! This should be fun. Let's hope lots of people join. 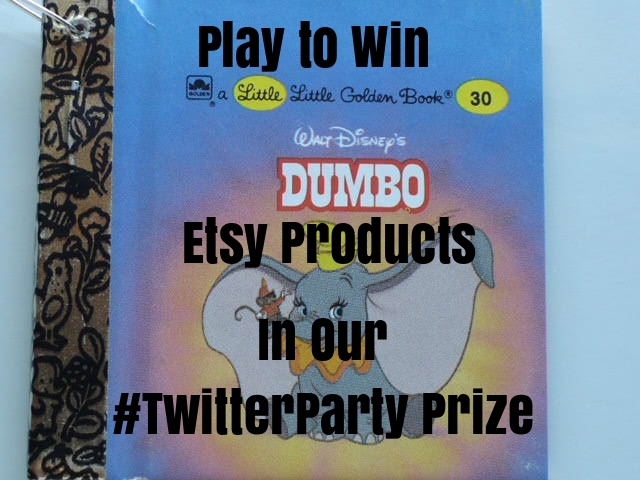 Thank you for promoting our #TwitterParty. We have folks entering already! Thanks so much for getting our awesome Team off the ground, Marsha!! Our team is Awesome! I agree with you Sally. I want win because I love items being giving away and I like to support small businesses. I want this for my 3yr old daughter Jasmine,who adores reading & identifying the pictures. We had Cindy McCann sign up for our newsletter! I would love to win the adorable fox dress from Little Laughing Ducks. My daughter will turn 1 year old next week and this would be such a wonderful gift for her. My Twitter handle is @htboland & I have subscribed to your newsletter. Thanks for the chance! Thank you H. Bloland I did receive your newsletter sign-up. I need you to leave another comment using the hashtag #MosGiftClub that is the last thing you need to do to be entered in the contest. THanks!